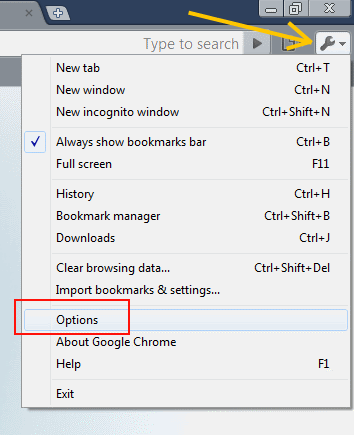 How to change the default search provider in Google Chrome? When you install Google Chrome on a Windows system that has Internet Explorer 8, you will see that all the search results you get in Chrome are via the Bing search engine. This is because Chrome exported the settings from IE8 and as a result you get Bing as your default search provider. 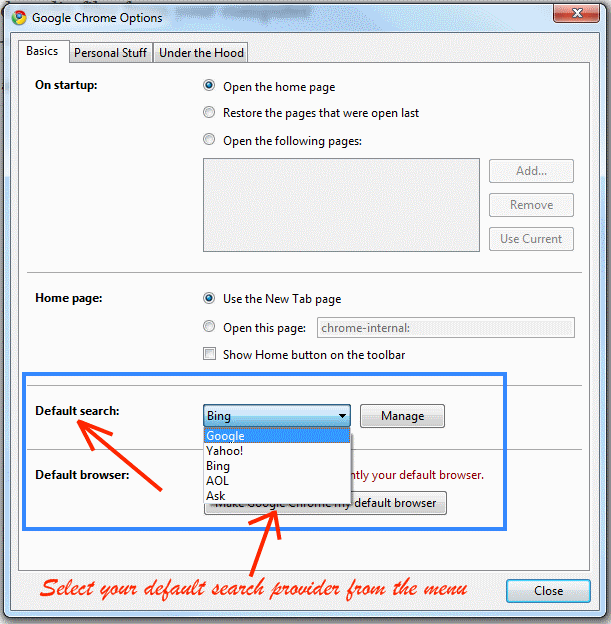 In this article we will tell you how to change the default search provider in Google Chrome. 2. From the windows that opens now, select the Basics tab. In this tab you will see an option for selecting the Default Search Provider. Select your search provider from the dropdown menu and click on close. 3. You are done. If you chose Google as your new search engine then you will see an search results in Google from now onwards. You can also change the default search engine in one more way.